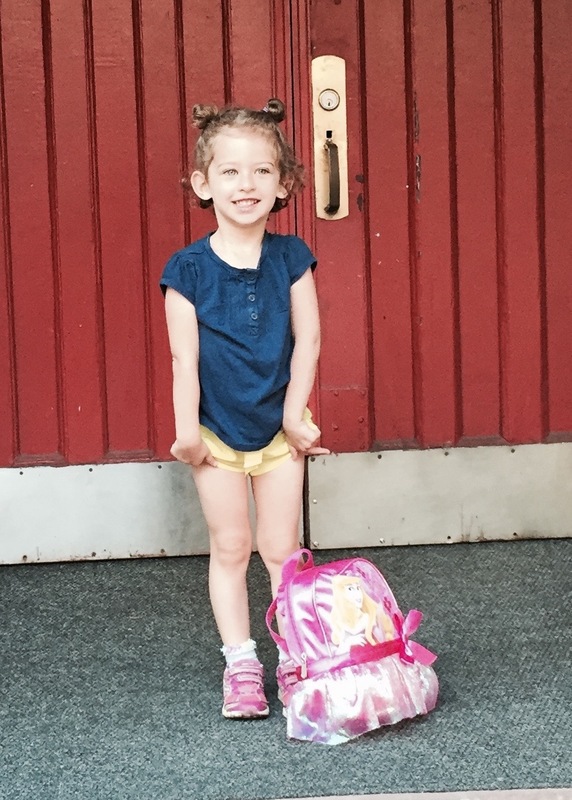 Summer 2015 marks Sophia’s first foray into the big leagues … aka camp. We enrolled her into camp in preparation for her starting pre-school this fall. Sophia’s only experience in a group setting with kids her own age has, so far, been limited to two classes: a little gym class when we lived in Maryland and a dance class she attended here in Philadelphia over the summer. She loved both her classes and we were excited to see her transition to an independent, multi-hour activity. Camp, for her and for us, is a big deal. Sophia will have to learn how to interact with children in a group setting, teachers and counselors. She has to learn to be more independent, to function within specific time boundaries, and follow instructions. As for us, we have to get her ready for camp each morning, drop her off, and pick her up. I would be remiss if I didn’t mention that of course there have been tears at drop-off and that is entirely expected though very difficult for us as parents. The only thing I can do, short of pulling her out of camp, is be supportive. Each and every morning if (and this week is really a matter of when) Sophia breaks down during drop off, I say “I know you’re upset and it is okay to feel this way. Mommy is going to be back to pick you up. I will definitely be back at noon to pick you up.” I am told the tears eventually subside (for her anyway).